THE FIRST PROG RADIO IN GREECE! JUSTIN CASE YOU WANT TO LISTEN TO DIVERSE MUSIC! BEN BELL is a British multi-instrumentalist who has participated in the revival of FUSION ORCHESTRA. 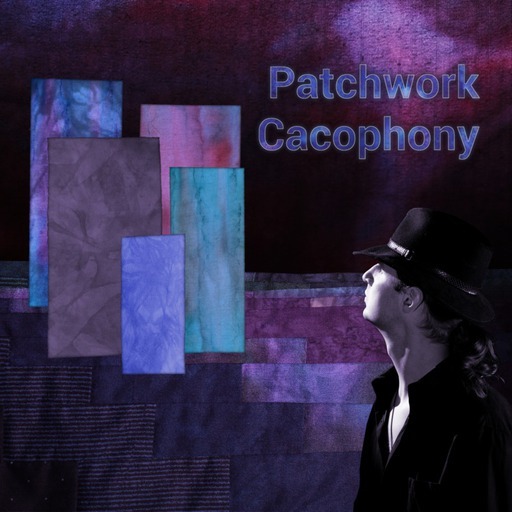 'Patchwork Cacophony' is the first album released by this talented keyboardist and the result of 5 years of work. The question is... is it worth it? I see again an endless ocean of individuals straining themselves on the long walk of life. "No time to rest" they always sigh ,"there's no precious time to waste". What is left then in our daily lives apart from stress and the vicious race of moments, endless hours to years until our shadows fall weary. Theatrum is a progressive metal band from Latvia. The band consists of Inessa (vocals), Vitaly (bass, keyboards), Uģis (guitar), Alberts (drums), Artūrs (lead guitar) and their music is characterized by a combination of female operatic vocals and heavy riffs. Vessels is the debut album by Ethos, a progressive rock band from Rome, Georgia. Ethos was formed in 2009 and consists of Austen Earp (lead vocals, piano, guitar, synthesizer), Matthew Palopoli (lead guitar, vocals), Nick Riggs (bass, vocals) and Tribb Robison (drums, percussion). The band skillfully combines heavy riffs with classical piano and melodic vocals while experimenting with multiple musical styles.